On 24 and 25 February 2017, the Vienna Arbitration Days celebrate their 10th anniversary. We are proud that this year’s speakers includes again many highly renowned international practitioners such as Gábor Bárdosi (Wolf Theiss), Jason Fry (Clifford Chance), Simon Gabriel (Gabriel Arbitration), Isabelle Hautot (Orange), Monika Hartung (Wardyński & Partners), Marco Lorefice (Edison), Gabrielle Kaufmann-Kohler (LKK Lévy Kaufmann-Kohler), Michael Kutschera (Binder Grösswang), Sophie Lamb (Latham & Watkins), Ilya Nikiforov (Egorov, Puginsky, Afanasiev & Partners), Paul Oberhammer (University of Vienna), Lucia Raimanova (Allen & Overy), Friederike Schäfer (ICC Paris), among many others. Current ICCA President Donald Francis Donovan will deliver the keynote speech. For more information on the academic program and the social events, please click here. We expect a particularly high number of registrations for the anniversary conference and would not be surprised if the anniversary conference was sold out early. We thus urge you to register early this time. Please keep in mind that there is a preferential rate for Arb|Aut members who have paid their membership fees for 2016 at the time of registration and register on or before 30 November 2016. If you want to make use of this opportunity, please request the password necessary for preferential registration via e-mail (arbaut@arbitration-austria.at) and register under https://mondial.eventsair.com/vad2017/specialregistration. Approval of the Arb|Aut Board (Entlastung des Vorstandes). On 20 October 2016, the second Arb|Aut Forum was held at the University of Vienna. Werner Jahnel (partner at LALIVE, Switzerland) presented a sharp analysis of “Suspicion of Corruption – what the Arbitral Tribunal can/must do”. Werner addressed the treatment of corruption in international arbitration, including the arbitral tribunal's duties and powers to raise and investigate corruption. The presentation was followed by a lively discussion moderated by Anne-Karin Grill (Schönherr), Werner and myself. The evening was closed by drinks and refreshments. Pictures of this event are available in our Gallery. 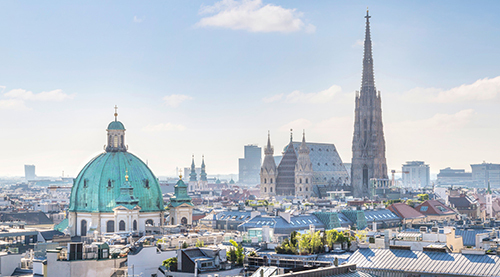 This year's Austrian Arbitration Academy - Arbitration Rules in Practice is jointly organized by the Sommerhochschule of the University of Vienna, VIAC, YAAP and ArbAut. This program has been specifically devised for participants with first experience in the area of international arbitration. The course will take place at the University of Vienna from 21 through 25 February 2017 and will consist of a module taught by renowned academics and practitioners and participation in the Vienna Arbitration Days. The application deadline is 30 November 2016. 29 November 2016, 17:00 - 20:00 in Vienna. Please click here for further information on the program and registration.